It’s almost the end of the year, so I guess it’s time to reflect on the year past, and look forward to the new year. What did I do and what would I do differently next year? I’m not a big one for making New Year’s Resolutions. I believe if you want to change something, or do something different, do it when you think of it. Why wait until a completely arbitrary deadline like the new year? Also, like most people, I never keep them. I have made the “I’m going to be a better me” resolutions. Lose weight, be nicer, read more books, etc in the past. Blah. Never happens. I’m still the old version of me, and over the years I’ve grown to like it. And all in all, I have a pretty good life. 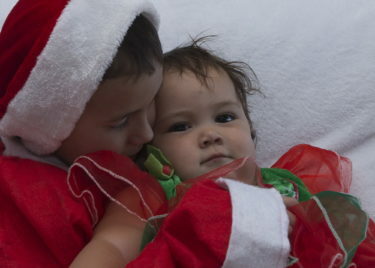 I have great kids, as well as the nicest, best looking, and smartest grandchildren ever (well, since I was a grandchild). I have a job where they let me set my own hours, and even often let me decide what work I’ll do, and they give me time off whenever I want it. And, of course, there’s Doc encouraging and supporting me to go out and have adventures. I love the Territory, and this year I managed 2 trips. My sister has been working in Darwin, so what better opportunity to visit. In January I spent a month with her, and we visited Nitmiluk. 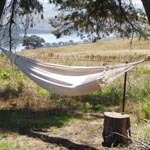 Doc gave me a nights stay at Cicada Lodge and a helicopter flight for 2 over the gorge. We added another night ourselves, and made a weekend of it. 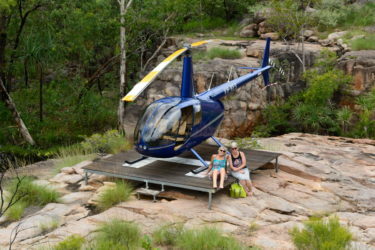 The only time I do ‘luxury’ travel is with Eleanor, and Nitmiluk was certainly luxury. It was fabulous. I went back to Darwin in November and we went out to Kakadu for a long weekend. 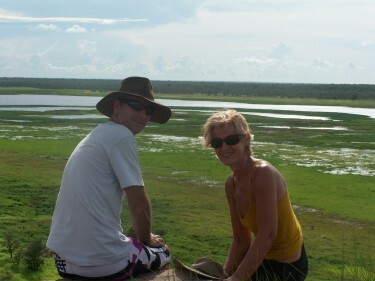 That was my third visit to Kakadu, all in different seasons, and all amazing for different reasons. Only three more seasons to go. My granddaughter turned one this year, and my daughter went back to work. A tough time for her, but it means I get to spend one day a week with my granddaughter. And grandparenting is so much more fun than parenting. Not only that, I got grandma days with my 4 year old grandson before he starts school next year. We’d spend the whole day in the park with a picnic, and they were the best days. I never did that with my own kids. As a parent there always seems to be something else you need to do. Spending a week alone in the Simpson Desert was my number one highlight of 2017. I loved every second of it. Even digging myself out of holes and almost rolling m car. Well, perhaps not almost rolling the car. That was scary. As the song goes, I’ve had a few, but then again too few to mention. Well, there’s only been one really. That Doc didn’t come away with me. 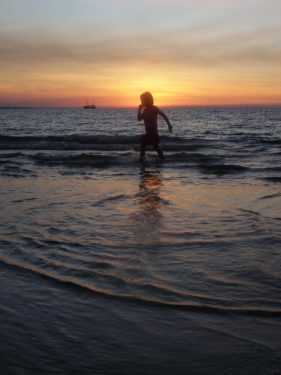 He came to Darwin for one week, but didn’t come to the Simpson Desert. Though while it’s a regret in one way, I loved travelling on my own. I (re)learned a lot about myself and my abilities. I’d strongly recommend that all women do something challenging on their own every now and then just to remind them of what they can do. Perhaps (as Doc says every year) next year we’ll go together. 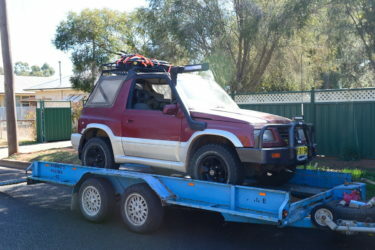 I suppose I’d also have to include I regret having to spend almost $2,000 to get a new head gasket on my Simpson Desert trip. I regret even more not biting the bullet and getting it done straight away rather than wasting a couple of weeks of my travel time and cutting short my time on the Oodnadatta Track, and missing out on the Boulia camel races. That’s something I’ve been trying to get to for years but have never managed to time it right. But such is life. I still got to spend time in the Simpson. This blog is about my life, so I’m going to keep this personal and steer clear of politics. And I’d never make it anywhere near a beauty contest so I don’t have to wish for world peace. Apart from winning the lottery so I don’t have to work, my biggest hope for 2018 is that this year Doc will finally decide he can take time off work and come away somewhere. But if he can’t, then I’ll start planning where I’m going on my own. The Tanami looks good. Or maybe the eastern half of the Territory. Whatever you have faced in 2017, whether you had the most amazing year or whether it was an ‘annus horribilis’, I hope that your 2018 is filled with joy and adventures. What were your highlights of 2017, and your hopes for 2018?